Along with the town halls, libraries and schools of Victorian Britain, the public baths constructed across the country between the mid-19th and early 20th century reflect an era in which the notion of ‘public good’, even the idea of ‘the public’ itself, proliferated. Civic structures such as the Dulwich and Camberwell public baths, both designed by Spalding & Cross and opened in 1892, expressed in elaborate brickwork, mansard roofs and cast-iron balustrades a paternalistic impulse for a cleaner, healthier population. It seems fitting, therefore, that it is public-focused practice Assemble that should be converting the Laurie Grove Baths in New Cross, another of these South London temples to public hygiene, this time constructed in 1898 to a Jacobean design by Thomas Dinwiddy, into the Goldsmiths Centre for Contemporary Art (CCA). With this, its most orthodox architectural commission since the practice’s founding in 2010, Assemble continues at the forefront of an emerging generation of architects — We Made That and DK-CM among them — whose practice is deeply concerned with reinvigorating the ideology and spatiality of the public. 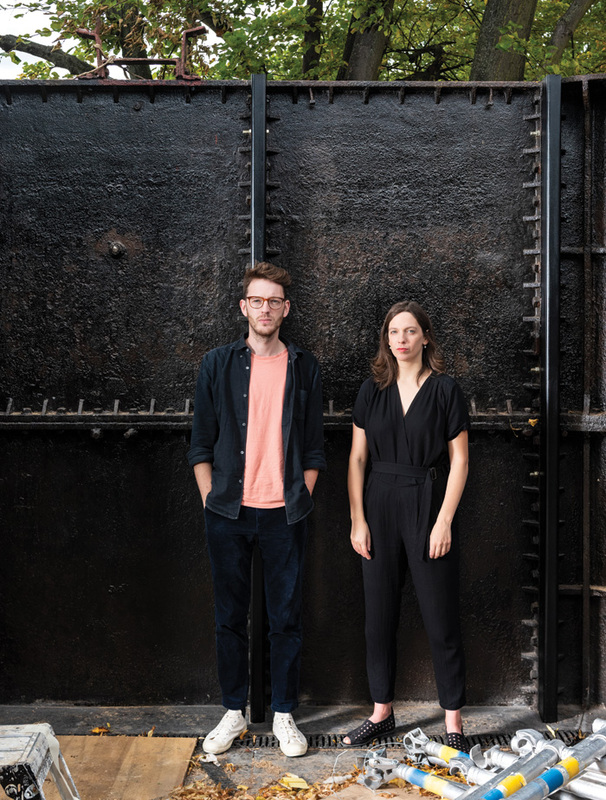 Their previous projects such as the Blackhorse Workshop in Walthamstow, or Granby Four Streets, a residential and cultural heritage project in Liverpool which famously won the collective the Turner Prize in 2015, rethink the relationship between modern institutions and their publics in a continuation of the lineage begun with those nineteenth century bathhouses. Unsurprisingly this is reflected in the design of the project. For example, one of the key ideas explored on the ground floor is the connection between the interior galleries and exterior public space. Approaching from the adjacent street, a stepped entrance portico and a large window cut-out of the western elevation signal a clear point of entry. Strelitz describes the portico as ‘the first gallery space’, envisioning outdoor events in a public square which is part of Goldsmiths’ longer-term aspirations for the surrounding site. Inside, the ground floor introduces the spatiality of the project. Open volumes lead onto one another where the walls and ceilings of the pre-existing structure, the service sector for the adjacent swimming pool (today student studio space), have been variously removed and raised. 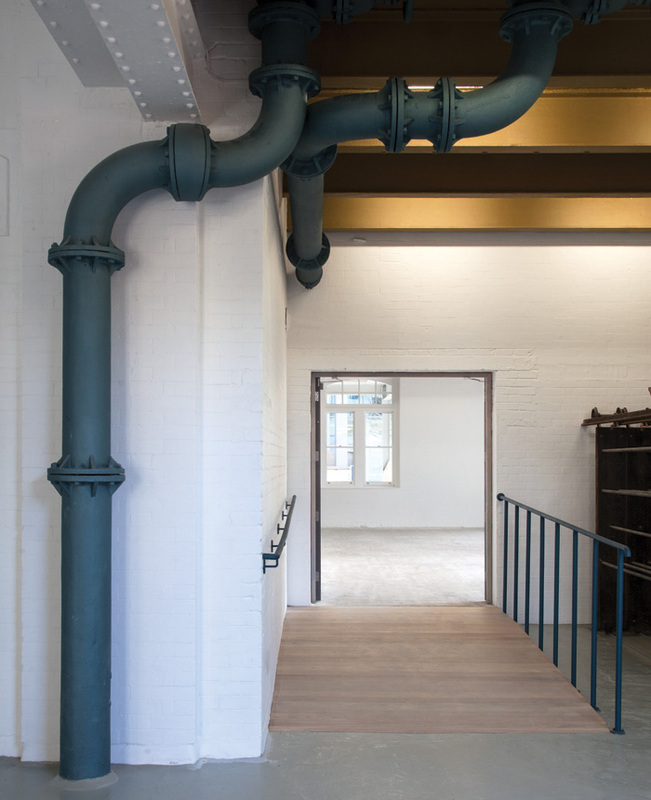 Thus the entrance gallery, with its visual connection to the outside, also leads around to a cafe and introduces a view onto the Project Space, the first of two standout moments in the CCA. 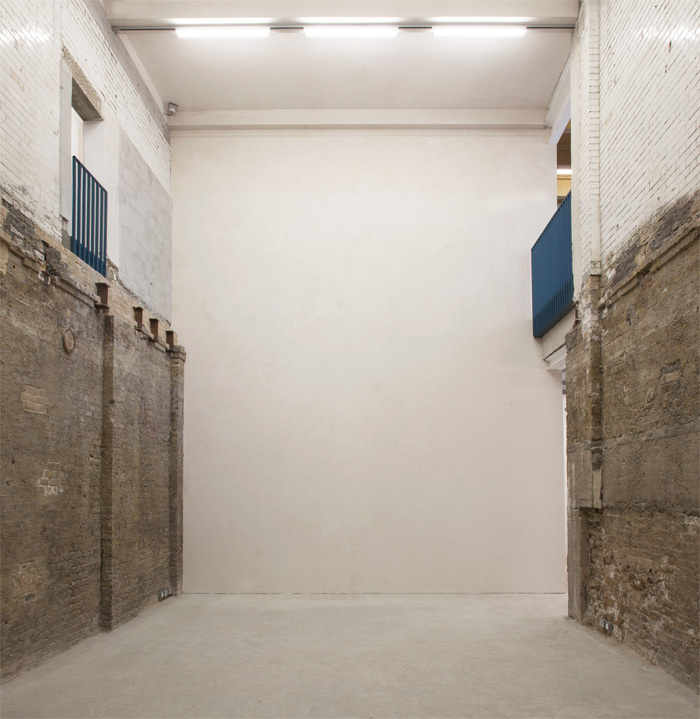 Accessed via a new spiral staircase, the basement also contains two smaller exhibition spaces characterised by their raw materiality. Strelitz takes pleasure in pointing out the scrappy Victorian brickwork in these rooms which, combined with the lack of daylight, gives the basement a grungy feel. This contributes to what Willis terms the ‘menu of rooms’: different identities of exhibition space that develop through the three levels of the building. So while the basement is a warren of stock brick and cast iron piping and the ground floor is outward-facing and circulatory, the upper floor is high-tech and self-contained. Here, the Clerestorey and Lantern galleries conceal electrical facilities beneath removable oak panels. Elevated high above their siblings in the basement, these black box galleries exude material refinement and technical sophistication. 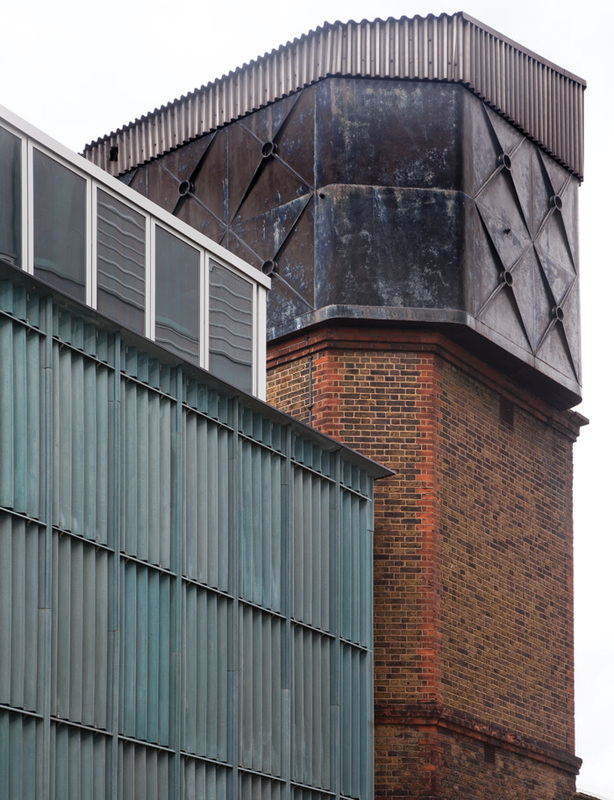 In contrast to the clean finishes, however, two cast-iron tanks also occupy the top floor. These, previously used to store the water for the bathhouse, form the second standout moment at the CCA. Today, the containers — one inside, one open to the sky — have been cleared of their cross-bracing and reinforced with a steel support frame to leave the spaces clear and the rusted iron exposed. 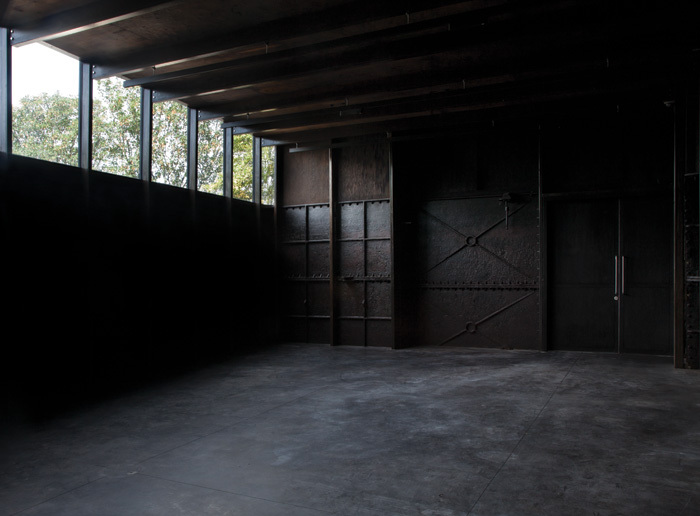 In the inside tank, referred to as the Daskalopoulos Tank Gallery, only the new ceiling panels and black concrete floor are insulated, leaving the oxidised hues of the panels visible inside and out. This has the effect of reinforcing the historical identity of the structure from the exterior and producing a unique, if challenging, 78 sq m space inside. Next door, the same panelling is retained, although this time without a roof. 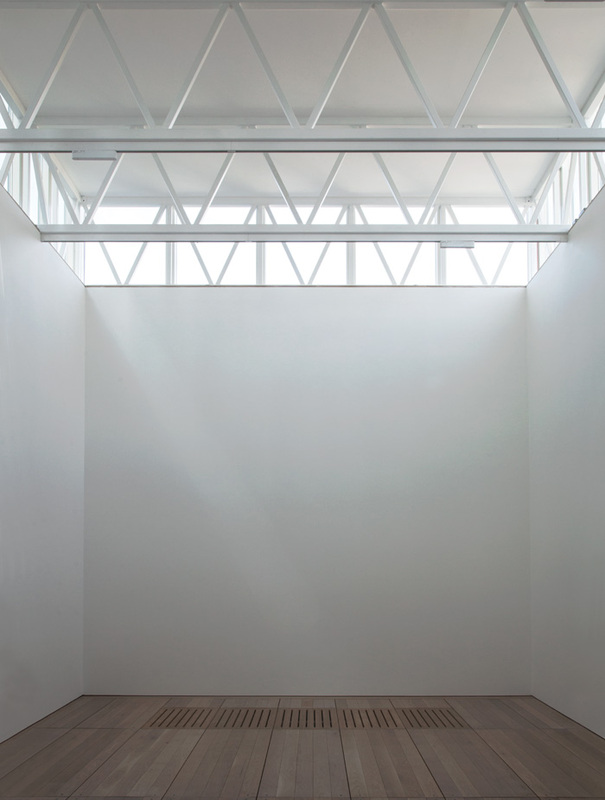 McCrory’s opening exhibition at the CCA sees the diverse practice of the Argentinian-born, New York-based artist Mika Rottenberg exhibited across all three floors and through seven rooms of divergent atmospheres. While the black boxes on the top floor show new film works exploring labour and globalisation, the basement contains an architectural installation comprising a rotating wall and bingo machine. Going forward, McCrory’s programme will be highly diverse and largely unpredictable: she mentions recent graduates, established artists, research projects and new approaches to exhibition making as part of her upcoming plans. ‘Unlike a lot of institutions in London that have a very specific voice, and admirably so, we’re trying to have a very diverse and purposefully inconsistent way of working,’ she explains. There is an unplanned parallel here between Assemble’s architectural collage and McCrory’s curatorial experimentation. While this is coincidental (McCrory was hired in January 2017, two and a half years after Assemble won the project), it also indicates a generational shift away from the white-cube paradigm, towards art spaces that consciously wear their context on their sleeve — or facade. 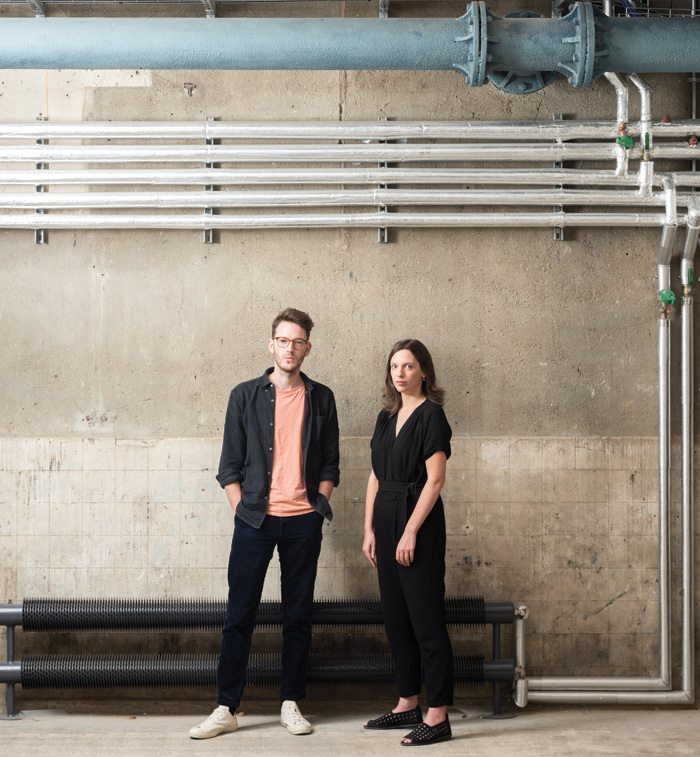 Indeed, this was part the rationale for commissioning Assemble, according to Richard Noble, head of the art department at Goldsmiths who led the competition jury alongside David Chipperfield, Anthony Gormley and the head of estates at the university. ‘I love the way they open up the window on the front facade,’ explains Noble, ‘and the way they understood the materials and the relation between the rough and the smooth.’ Having been head of the art department since 2004, Noble has propelled the gallery through from inception to completion in an attempt to make the department more outward facing. Assemble has confidently translated its approach to smaller projects to this, the first ‘proper’ architectural commission that the collective has taken on. 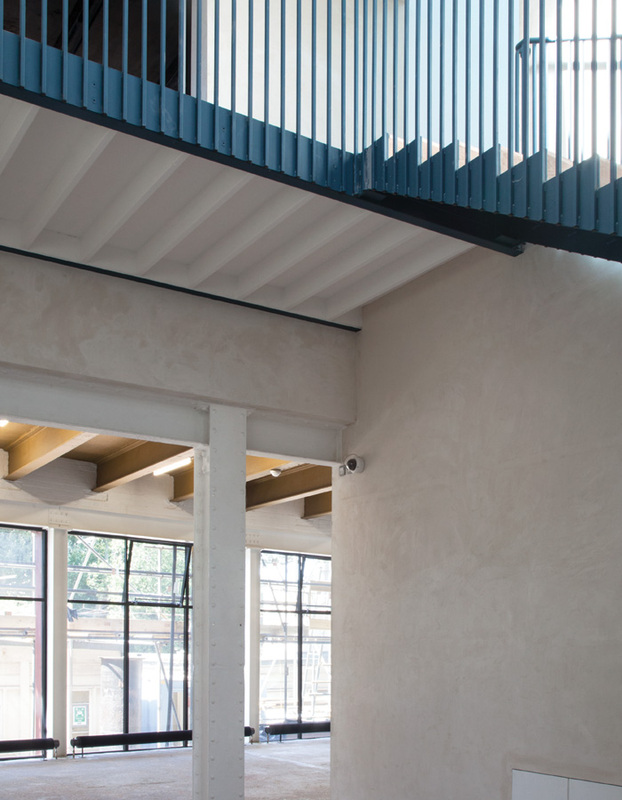 Some elements are familiar features of Assemble’s work: the prioritisation of spaces for social connection and assembly; and experimentation with facade materials, in this case a corrugated fibre cement in a marine hue (a complement to the now-familiar Granby workshop lampshades and Sugarhouse studio tiles, used here in the cafe and toilets). What we’ve not seen before is Assemble expanding these ethics and aesthetics across a larger volume and sustaining these ideas in more complex forms, all the while navigating collaboration with a major educational institution. In this sense, the completion of Assemble’s CCA may signal the arrival of a new approach to cultural and civic institutions. Or, more simply, the intelligent renovation of a very old one.